"The prize has been sitting on a shelf somewhere for the last 20 years," 92-year-old Leon Lederman said in a phone conversation from his home in eastern Idaho. "I made a decision to sell it. It seems like a logical thing to do." The online auction being conducted by Nate D. Sanders Auctions closes Thursday evening, but only when the final bid has stood unchallenged for half an hour. Lederman won the Nobel Prize in physics with two other scientists for discovering a subatomic particle called the muon neutrino. He used the prize money to buy a log cabin near the tiny town of Driggs in eastern Idaho as a vacation retreat. Lederman retired from Fermi National Accelerator Laboratory in Batavia, Illinois, near Chicago in June 2012 and moved to Idaho full time. "No one is more respected in the Fermilab community than Leon Lederman," said Christopher T. Hill, a theoretical physicist, using a shortened version of the lab's name. "He could easily have won three or four Nobel Prizes." The auction house has sold two other Nobel Prize medals, both earlier this year. 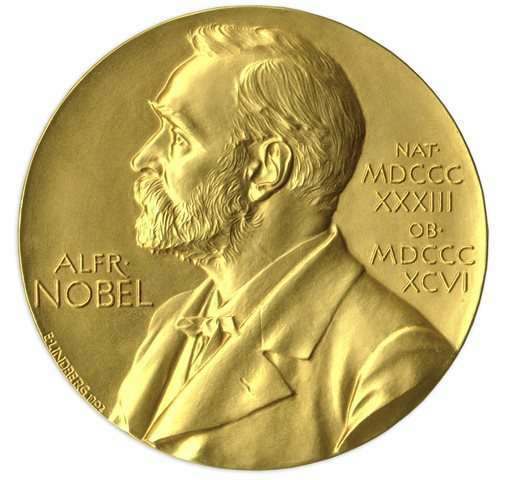 In February, it sold for $390,848 the Nobel Prize in Economics won by Simon Kuznets in 1971. 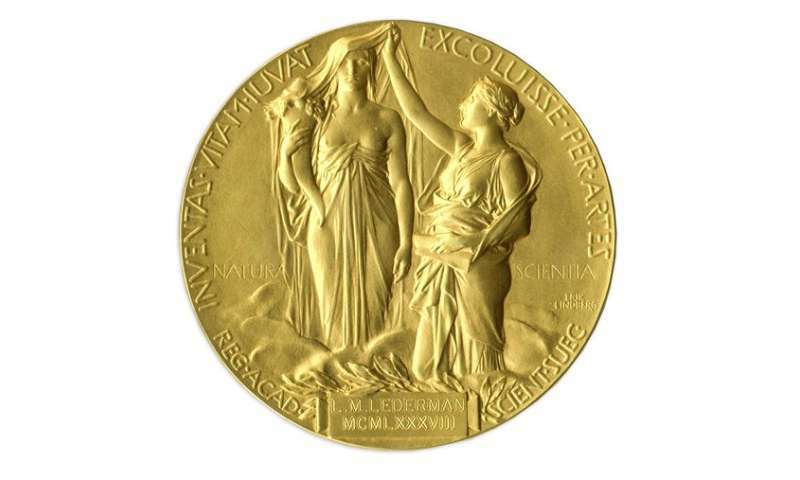 In April, it sold for $395,000 the Nobel Prize in Chemistry won by Heinrich Wieland in 1927. Both those medals were offered for auction by descendants. Laura Yntema, auction manager for Nate D. Sanders Auctions, said research by the company found Lederman's medal is only the second to be auctioned while the winner is still alive. 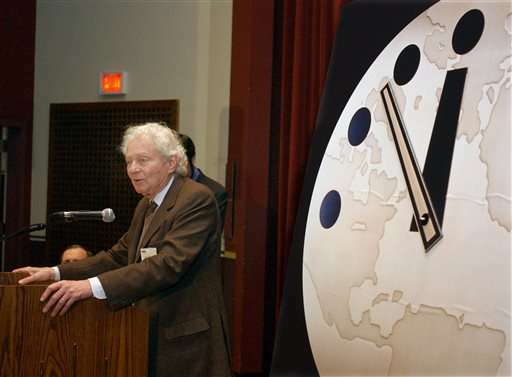 The company also found that only 10 Nobel Prizes have ever been auctioned, Yntema said. The people who buy them in some ways have a similar mindset to people who buy sports memorabilia, Yntema said. "It would just be an honor to own it," she said. "What these people have accomplished, it's mindboggling how they advanced society." Yntema said it's not clear what a Nobel Prize won by an experimental physicist will sell for, though she said the auction house has received a fair amount of interest. "It's not exact what the market is," she said. "That's why they go to auction." Lederman's wife, Ellen, said they've enjoyed having the medal. "It's really a wonderful thing. But it's not really anything we need in our log cabin in Driggs, Idaho," she said. For Leon Lederman, at 92, the details of the work that went into discovering a subatomic particle have become hazy over the decades. "I don't have any real stories to tell about it," he said. "I sit on my deck and look at the mountains." The wizard of Oz didn't help anyone. Scarecrow asked for a brain and he only got a diploma. Lion asked for Courage and he just got a useless medal. Tin Man asked for a heart and he gets a clock instead. You can buy the medal, but you can't buy the meaning. Whoever buys this is probably missing the point. It's almost a joke. Quite obviously one would not inherent nobel-prize-winner-super-powers by owning this medal, I'm fairly confident most potential buyers will be well aware of this. @ Returnering-Skippy. How you are today Cher? I am good today me, thanks for asking. Owning would not like winning the prize silly couyon. It would be like owning a piece of history. Some peoples collect the original scribblings of the famous author-Skippys, but they don't pretend that they did the scribbling.